I have been looking at the Nokia Lumia 800 for a while and, finally, I decided to give it a try. Here my list of likes and dislikes after two weeks of intensive use. I love the typography of the User Interface. Personal thing, but I do really love it. The phone is really responsive, and fast. From this point of view I am not missing the iPhone at all. The display is really, really good, and materials and finishing are fantastic. I got the blue one but I think I would prefer a black one. Reason is the bezel would look part of the body of the phone and that should look great. Contact merge from Outlook, Gmail, Twitter, Facebook, and other social networks is great, even if it can get messy in the long run. I am just displaying my contacts from Outlook after having had all for a couple of days. The camera is fantastic for pictures and not as great for videos. From an application standpoint the market is very well populated, at least for my needs. I have found all the core applications I use on my iPhone. And now the dislikes. As always they will be much more than the likes since I tend to focus more on what I don’t like. Upgrading the phone to the latest software version has been a pain. I work on a Mac and I had to run the upgrade process through the Zune software on a Windows virtual machine. Long and very annoying process. Battery life is a serious issue, at least for my utilization profile. With WiFi, push e-mail, and background application I can hardly make one day with the device. Disabling everything and activating the battery saver options in the settings menu will let me go home at night with 40% battery life on the phone. Audio quality in voice call is not as good as in the iPhone. The maximum volume is very low and i found that the sounds was brighter on an iPhone. Some applications have their own search button, and I always confuse that with the search button on the bezel, Yes, maybe it’s just me getting old. It seems that I cannot trim the volume of the sound in the alarm application. I hate this, and I hate how vendors put so little attention to the most used application in every phone. I think that the iPhone virtual keyboard is still better on the iPhone. I am not as fast as I am on the iPhone on the Lumia. Maybe I will need some more time to get used to the differences. I also had some issues with certificates from my Exchange server when running the connection over WiFi at the office. This is a weird issue, but I had not seen this on my iPhone. Some of the applications I installed (Foursquare, Twitter, Facebook) are not as responsive as their equivalent on the iPhone. Yes, I know about Twitter and Facebook integration, but I just wanted to make a comparison between the two different implementations. 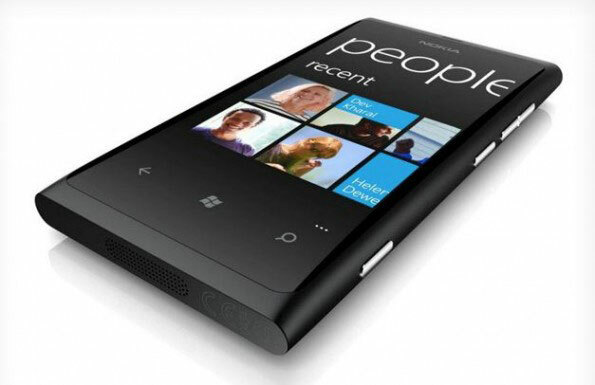 I would say that the Nokia Lumia 800 is a very good phone, and it may play as a substitute of my iPhone. I am completely satisfied with the operating system and I like many of the features of the new UI/UX. From that point of view nothing will make me wanting to switch back to the iPhone. Battery life and audio quality are a no go for me. Audio quality may be a pure Nokia issue not depending on the OS itself. Battery life may be more OS related. These two things are critical to me and for this reason I will go back to the iPhone for the time being.